The earth is home to several species. Owing to evolution’s biggest gift of intelligence to humans, the Homo sapiens have emerged to be the dominant species among all others. We, humans, are in constant fear of all the menacing predators that the wild has in store for us. However, we never contemplate on the fact that even the sharpest of canines and fangs stand no chance in front of human intelligence. 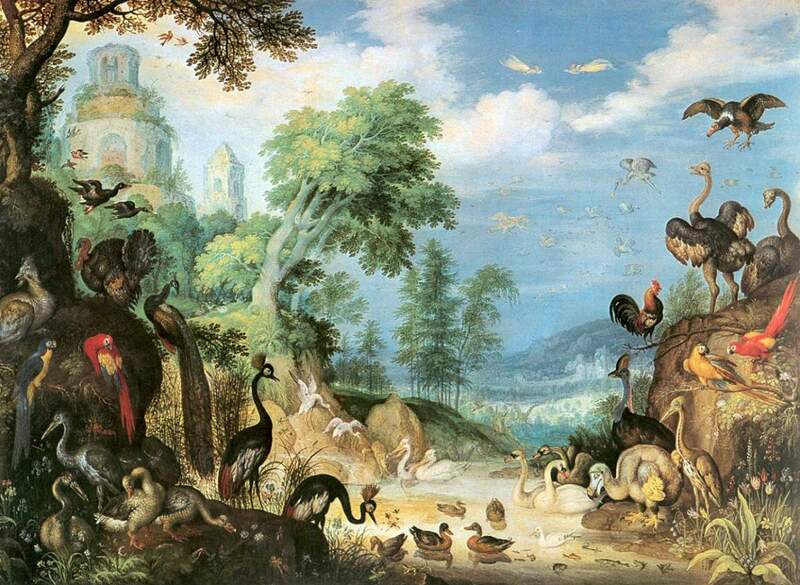 Landscape with Birds, (showing a dodo in the lower right corner) by Roelant Savery, 1628. Image Courtesy Wikimedia Roelant Savery (1576 – buried 25 February 1639), was a Flanders-born Dutch Golden Age painter. He primarily painted landscapes, often embellished with many meticulously painted animals and plants, regularly with a mythological or biblical theme as background. Among his best-known works are several depictions of the now-extinct dodo painted between 1611 and 1628. What had once started as constructive inventiveness has now become the root of almost every global problem that the earth has to suffer. From ivory caskets to mink scarves – we humans have weird tastes and preferences. The major reason behind the extinction of species is directly related to human overpopulation, which has led to the dying out of several species around the world. So how do human activities lead to species extinction? The two primary reasons behind extinction are the loss of habitat and loss of genetic variation of a species. Due to overpopulation, we have resorted to pushing back the forest cover as a result of which wildlife is losing its habitat. What once used to be filled with copses of oaks and ferns is now being replaced by factories and agricultural stretches. The advent of industrialization led by establishing factories is pushing the native species out, causing their biological race to wither and disappear with nowhere to go. While habitat loss is the primary reason, overhunting and overfishing have also led to the decimation of several species. Once upon a time, the earth used to be a beautiful place with all its forests and meadows and rivulets. But human interference has brought about the extinction of several species that once called this earth its abode. Here is a list of species that have been declared extinct and the reasons which are directly linked to our heinous activities. The intentions of humans have always proved to be harmful to the planet earth. Right from the beginning, when the Homo sapiens lived like barbarians, their act of overhunting to feed themselves has led to the extinction of the elephant bird. 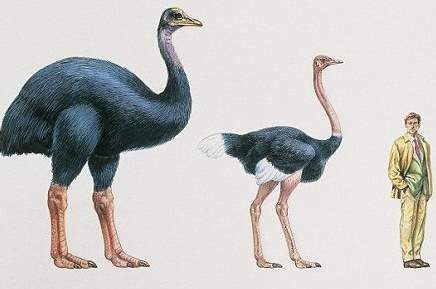 Belonging to the extinct family Aepyornithidae, elephant birds were said to be large flightless birds that inhabited the island of Madagascar. As per records, it was around 1000-1200 AD when the species was exterminated. The egg of the birds could feed a family and that is the assumed reason why humans hunted them, leading to their total wipe out. Elephant bird, ostrich, and human size comparison. The Ostrich is the largest living bird today. One of the most culturally significant human-caused extinction, the dodo was a flightless bird that was common in Mauritius. The Raphus cucullatus became extinct around the 17th century when the last one was spotted in the year 1662. Having the history of being wiped out in a few decades, the dodo is often used as the symbol of extinction or obsolesce. Due to the bird’s inability to fly, the dodo was easy to hunt. Although the main reason why the species faded out was due to its resiliency to its habitat and environment, reports suggest that indirect consequences of human invasion can also be linked to its extinction. With the human population came other animals, like dogs, pigs, cats, rats, and macaques, which destroyed the habitats of the dodo, thus making it an extinct bird. The first large African mammal to face extinction, the bluebuck or the more commonly known blue antelope is an extinct species of antelope that once inhabited parts of South Africa before it became extinct during the 1800s. Mostly encountered by European travelers, the Hippotragus leucophaeus was usually found in the southwestern parts of the Cape when encountered by Europeans. The main reason why the species headed towards extinction because of the reduction of its habitat. Humans cut trees and altered the grassland into lands suitable for agriculture and living. Moreover, the sea level changes during the early Holocene is also said to have contributed to its decline. There are records of the bluebuck being hunted by European settlers which is also a reason for the extinction of the species. 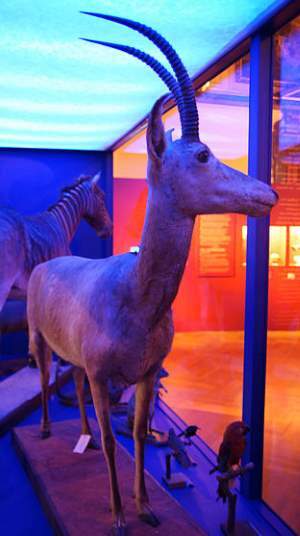 One of four existing bluebuck skins, Vienna Museum of Natural History. The overall blue coloration is caused by the lighting. The Atlas bears that roamed about in the cold Atlas Mountains became extinct in the late years of the 18th century. History has it, that these bears were used for gladiatorial games by the Romans leading to mass killings of the species. Believed to be a native of Africa, the Atlas Bear was classified as the subspecies Ursus arctos crowtheri and lived mainly on a diet that consisted of roots, acorn, and nuts. After the Roman reign found its way into Northern Africa and expanded their empire, they hunted down thousands of these bears for sport and even used them for execution of criminals. Most cruelly, these bears were killed during the Venatio games, another amusement sport. Eventually, the population of Atlas Bear started to fade out before it was declared extinct in the 1870s. The Quagga dwelled in the grasslands of South Africa until it became extinct in the wild by the year 1878. It was heavily hunted by Dutch settlers who arrived and found it competing with domesticated animals for forage. The extinction of the species roots to overhunting by hunters who killed this herbivorous and harmless species to satisfy their lust for hunting. Moreover, as the Quagga was a plant-eating animal, they were also hunted by colonists, because they were considered as competitors for sheep, goats and other livestock. Another reason why the Quaggas were killed in huge numbers was that of its flesh which was consumed by farm laborers and also for the skin which was used in the leather industry. 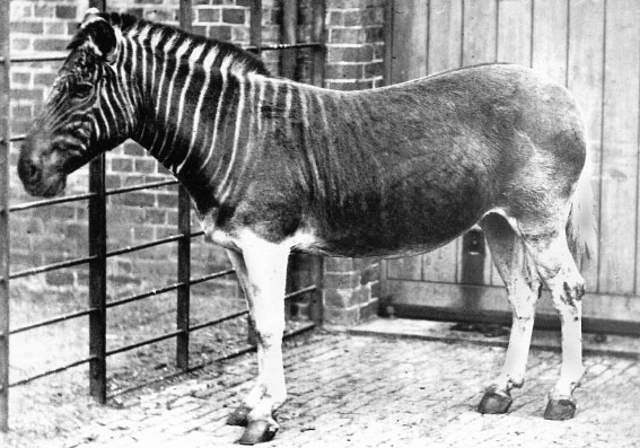 While the last Quagga (in the wild) died in 1878, the last captive one died in Amsterdam in 1883. A carnivorous marsupial, the Thylacine or the Tasmanian tiger was a native of Australia, Tasmania, and New Guinea. The Thylacines had an appearance of a hound dog or a wolf, the reason why it was also known as the Tasmanian wolf. Due to the dark stripes that went from the top of its back towards its underbelly, it received the attribute of a tiger in its name. Along with overhunting by bounty hunters and farmers, contributing factors like the human encroachment of their habitat and the introduction of dogs can be blamed for the extinction of the species. Another reason that the zoologists and environmentalists think had caused the decline of the number is the decrease in the prey species that the Tasmanian tiger fed on. The last Thylacine (in the wild) was shot in 1930 by a farmer from Mawbanna, in the northwest of the state while the last known specimen (held in captive) died in the Hobart Zoo in the year 1936. The last Tasmanian Tiger, Thylacine, 1933. It has died in 1936. Declared extinct by the IUCN in 2011, the black rhino was a native of Sub-Saharan Africa. The animal died out due to human poaching. The extinction of this species reflects how vile human intentions are and what a negative impact we have on the environment. In between 1980 and 1990, the number plummeted down to a mere 10 from 2000, after which it was declared extinct in 2011. In the 1950s, after a Chinese scientist claimed that the rhino horn had medicinal values that could cure cancer; the species was hunted in large numbers for their horns. Due to a high alkaline content, the horn was also said to be effective in detecting poisons, thus increasing the value of the horn. In addition to this, Rhino horns were also used to build ceremonial knife handles called the Janbiya and were known to symbolize wealth and status due to its cost. The western black rhino has been declared officially extinct. One of the most recent additions to the list of species that have become extinct due to human activities is the Pinta Island Tortoise. A subspecies of Galápagos tortoise, it was once widely found in the Pinta Islands. After the last specimen Lonesome George died in 2012 without a mate to multiply with, the species has been declared extinct as of now but a ray of hope remains as scientists think the species can be resurrected through a breeding programme. The reason for the decline was attributed mainly to human hunting due to the value of its shell which was used for commercial use in the accessories industry of spectacles frames and other decorative pieces. In 2012, the director of the Galapagos National Park Service has announced that Lonesome George, the last member of his giant tortoise subspecies, has died. He was around 100 years old. Human practices have already created a profoundly negative impact on the environment on the planet. Our inventions and our continuous quest to make lives easier for us have taken a heavy toll on the lives that once roamed freely on mother earth. We have made the planet suffer irrecoverable losses in the forms of melting ice caps, deforestation, and extinction of the wildlife species. The only way to atone for our sins would be to change our behavior, both radically and globally. The earth is in dire straits and we need to consume less and conserve more. To avoid the approaching apocalypse, we need to change our selfish ways to heal this world and make it a better place to live in for every species. Harry Jonson is a Brisbane-based environmentalist who is associated with uaevatexpert.ae through which he extends academic help to students pursuing environmental science. Besides being a traveler, he likes to go on trekking. He is also interested in company formation in UAE.